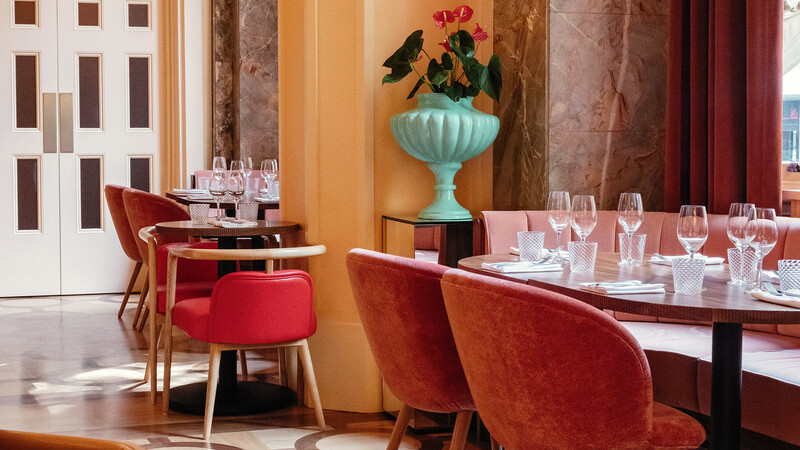 It might position itself as a 'modern, seafood-focused neighbourhood restaurant', but there's no denying what Neptune really is: a luxury hotel restaurant – and one with serious, in-your-face style at that. In fact, it's all bit Accidentally Wes Anderson up in here. But you know what? It works. 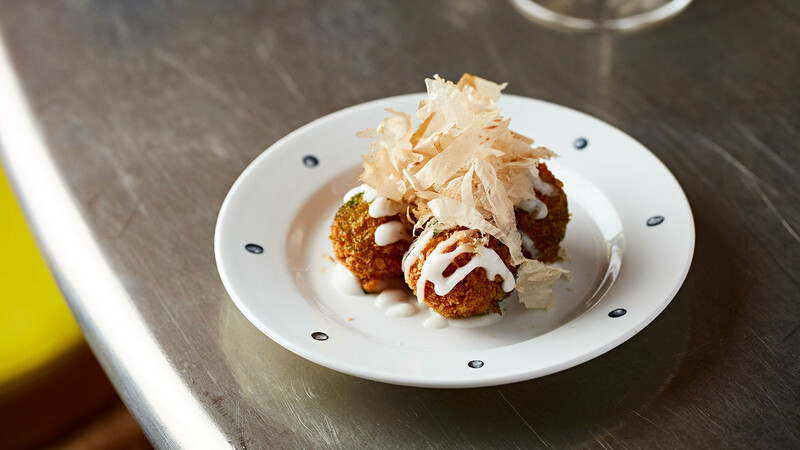 There's a kind of nostalgic, ostentatious romance to chef Brett Redman (of Jidori and Elliot's Cafe) and stylist Margaret Crow's softly lit, peach-hued space with its Australia-by-way-of-California menu. 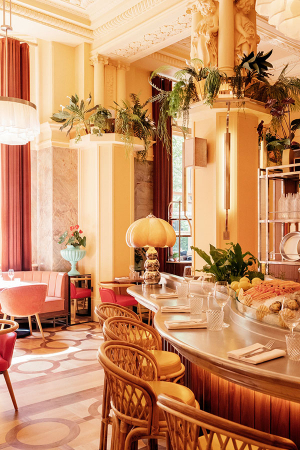 Isabelle Legeron, the creator of RAW WINE Week and France's only female Master of Wine, is in charge of the offering here, so expect to see a whole list of low-intervention, organic wines with a few natural bottles in the mix, too. Our pick of the bunch? A glass of Fento Wine's 2017 albariño – young and flinty with a touch of white currant – from the Rías Baixas region in Galicia, Spain. 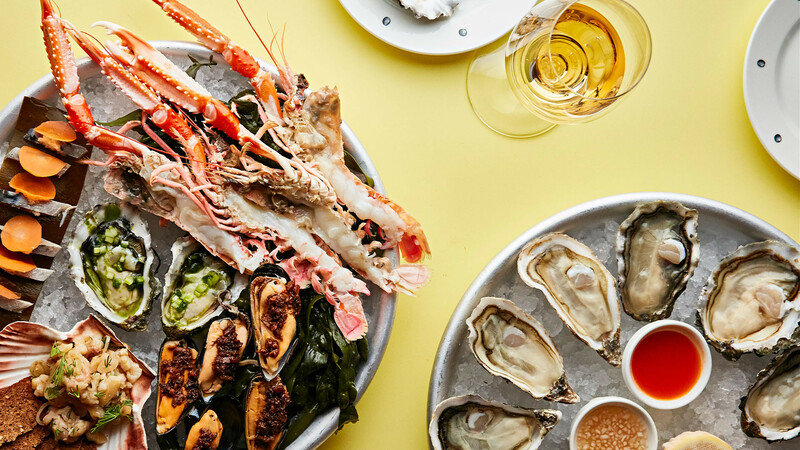 Everyone loves a seafood platter and at Neptune you'll get a pretty good spread of British oysters, crab, langoustines and more for a decent £36. 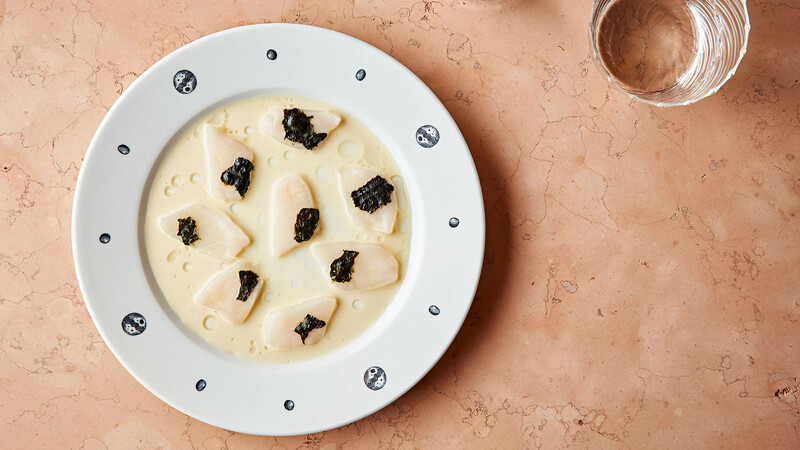 But if you want to get a better feel for Redman's flair, kick things off with the Exmoor caviar on hash browns with a cured egg yolk, or the scallop crudo, where slips of scallop become silky under a measure of dashi, saved from the brink of unctuous by a scattering of sharp red currants and bubbles of tapioca. 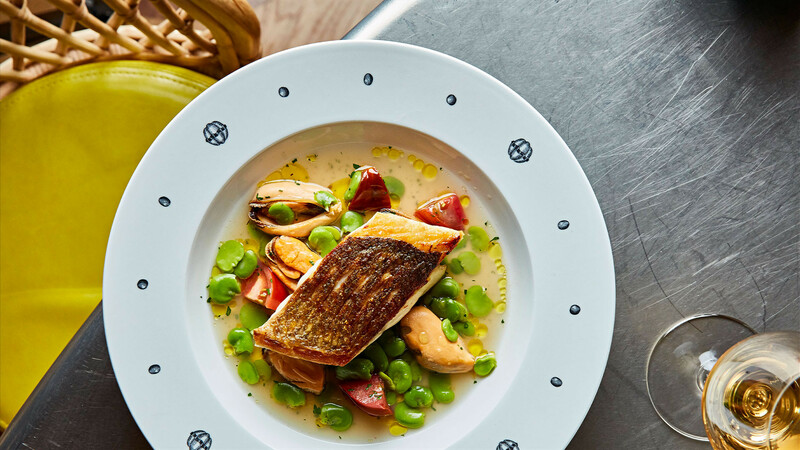 On our visit, the spicy seafood spaghetti was salted to the point of brininess, but order from the wood-fired grill, throw in a side of buttery, truffle-coated Cornish Mids potatoes, and you'll be on to a winner. 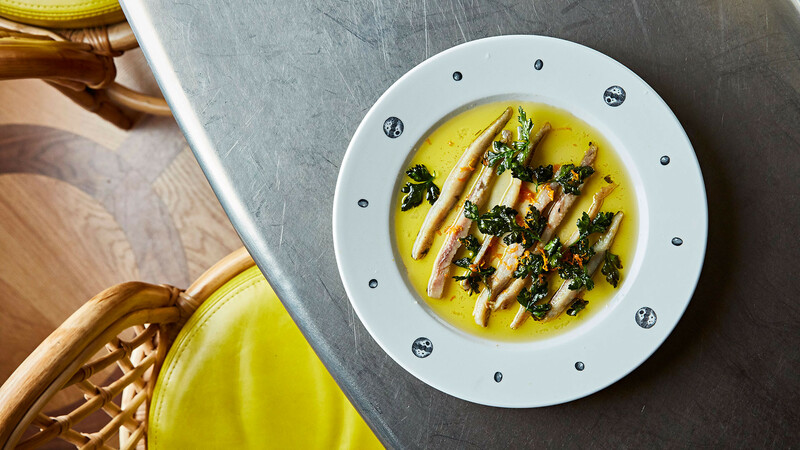 We'd go back for the whole mackerel – rich, charred and sat on a bed of perfectly seasoned chunky romesco sauce – alone.